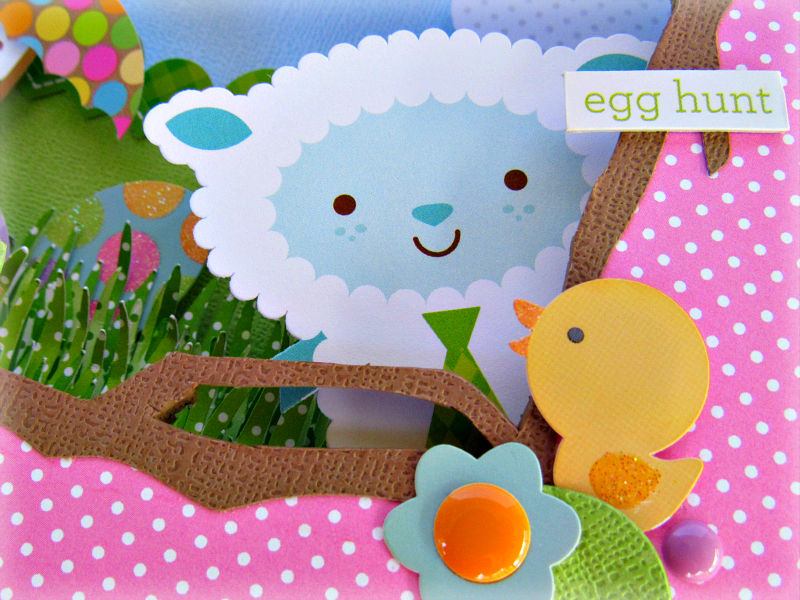 Hello Doodlebug fans. 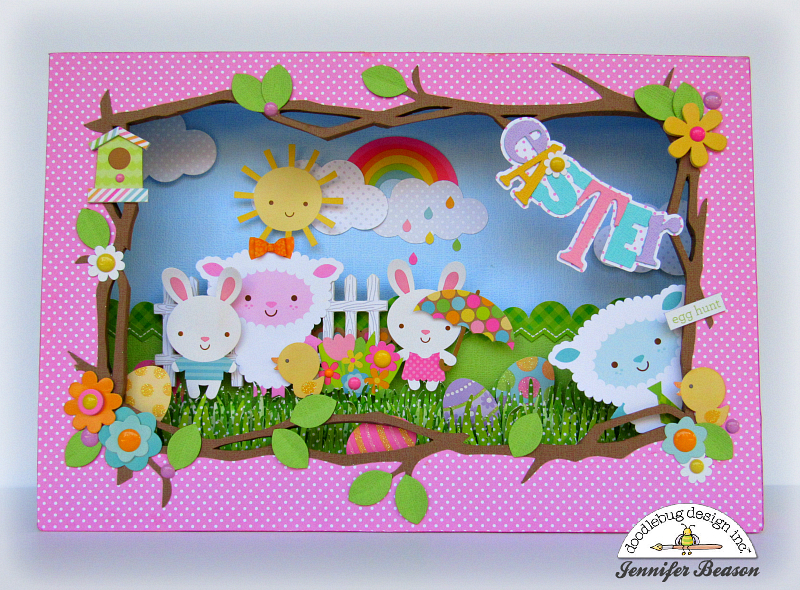 Jennifer here and today I have a fun shadowbox project to share. 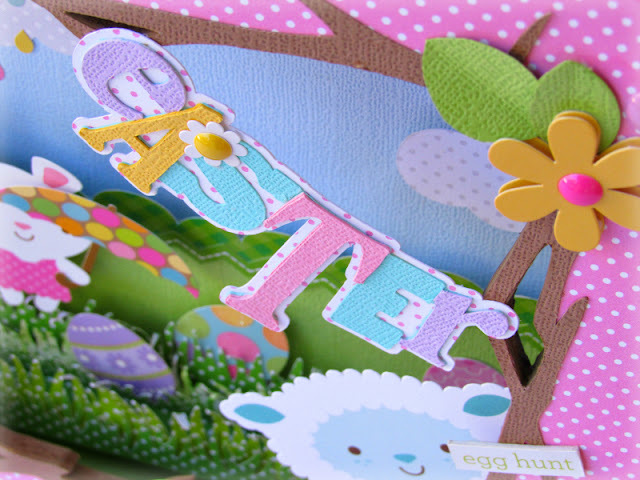 This project features Doodlebug's new Swiss Dot Petite Prints, which come in a array of bright, yummy colors. 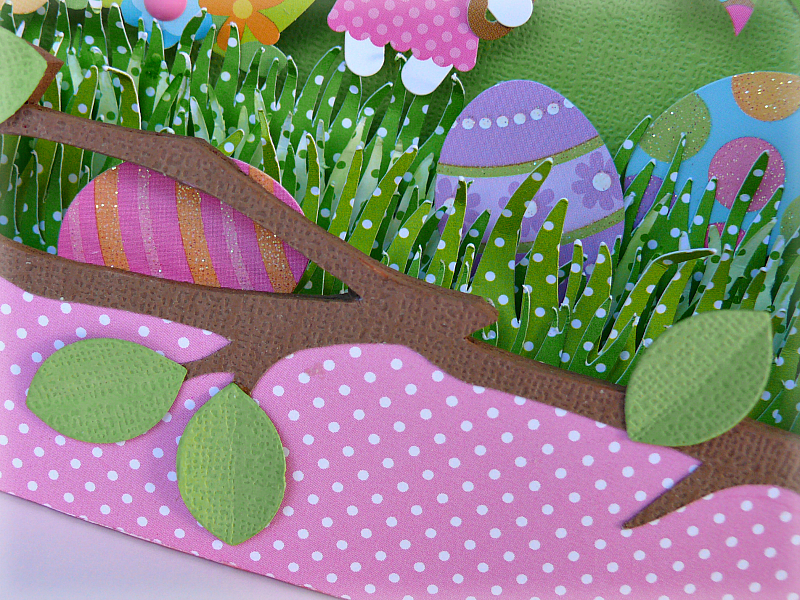 On the inside of the shadowbox I used green and blue textured cardstock for the background. 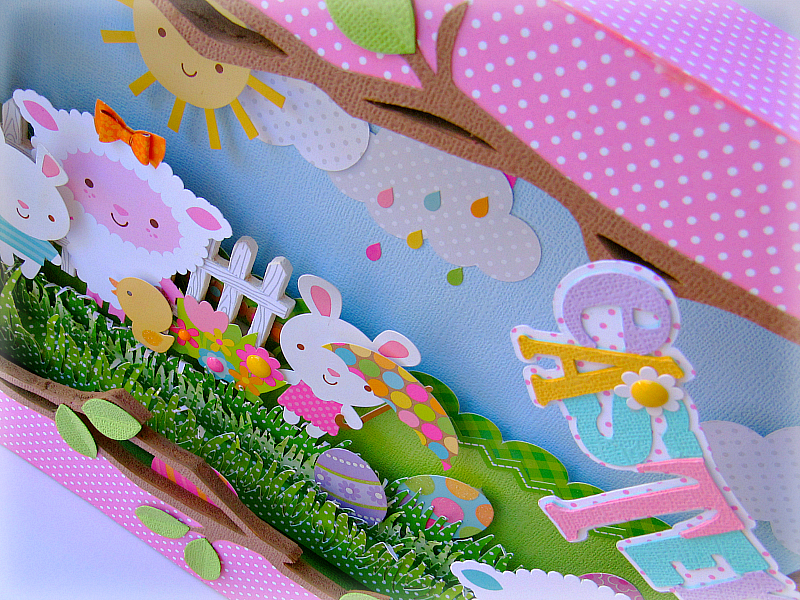 Then the clouds, sun, animals and grass etc, were added in layers to give the feeling of depth. The branch frame was cut out of brown cardstock using my Silhouette. Then the frame was glued to the center of a pink Swiss Dot sheet, mounted to foam core and hand cut out. 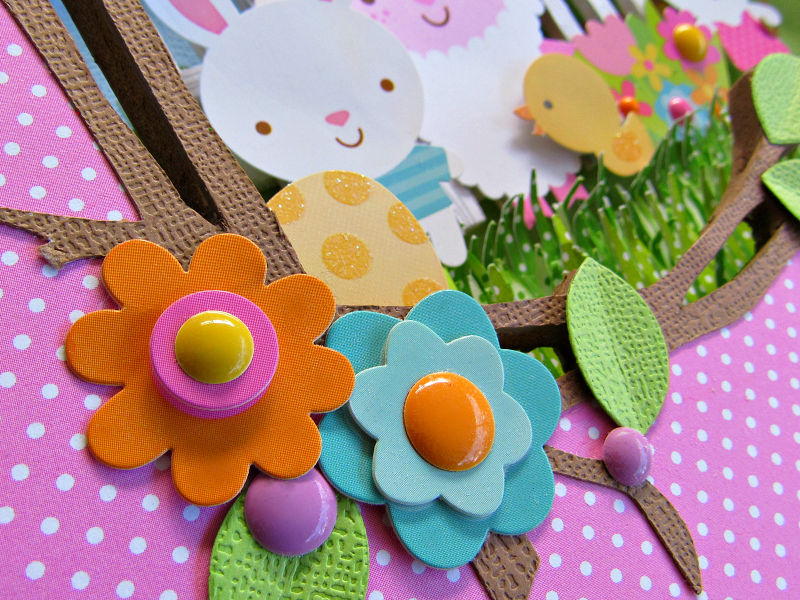 Once the frame was attached to the box, stickers and and other embellishments were applied. As you can see, I also used the Swiss Dot Cardstock to create the grass, clouds and behind the "Easter" title. Here are some more pictures of the finished piece. 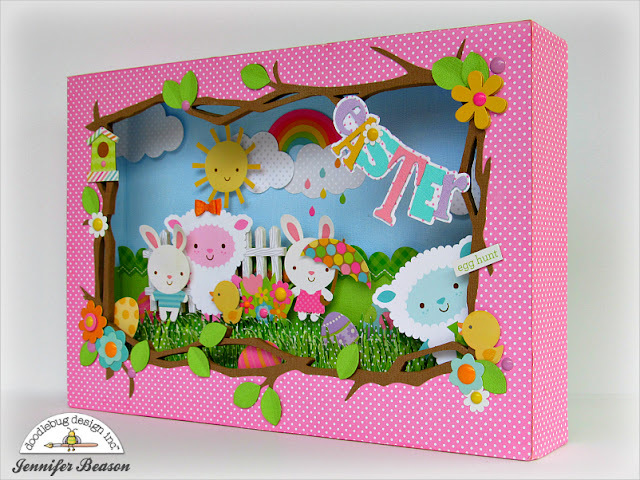 OMG & WOW Your Shadow Box is Amazing you totally did a super outstanding creative job!! All of your little images are so Adorable. I'm in awe of what you created. YOU so ROCK!! 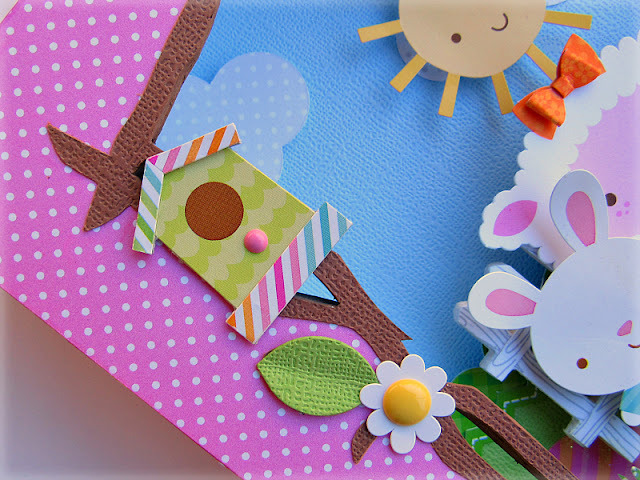 I just saw this on scrapbook.com. I love seeing the details here. Beautiful design. Wow! So many beautiful and fun details! What an impressive work of art! 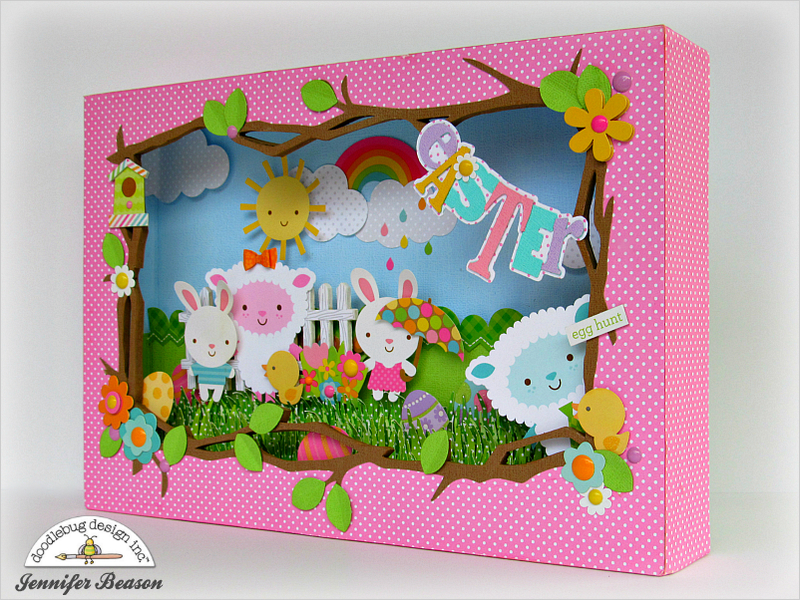 This is just the sweetest shadow box! Oh what a great idea!!! It's fantastic, so cute, so sweet!! !